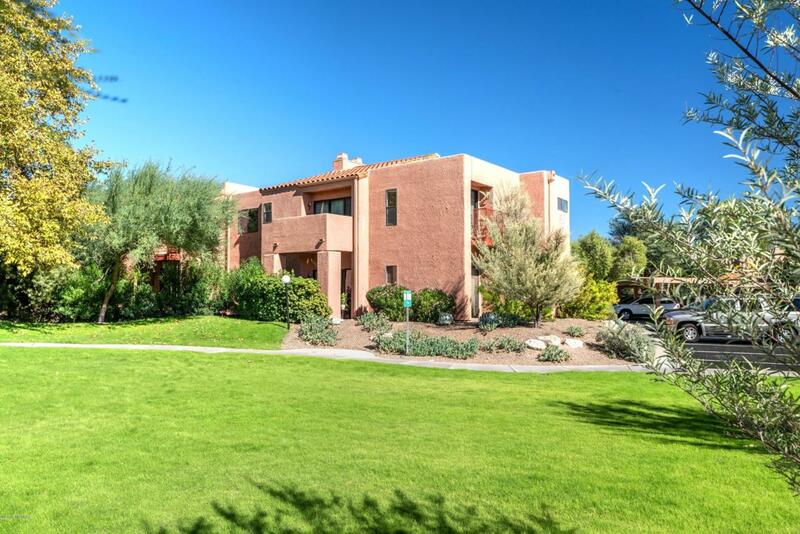 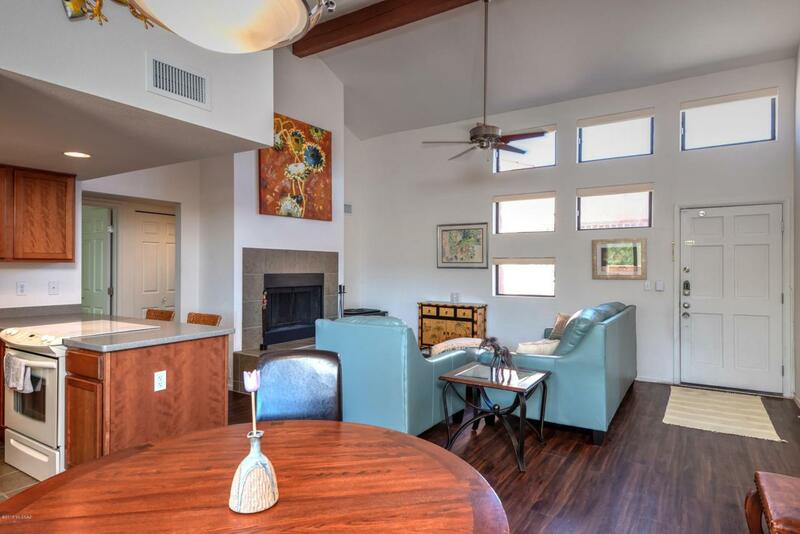 Spacious 2nd floor remodeled condo in the gated Catalina Foothills community of Ventana Vista. 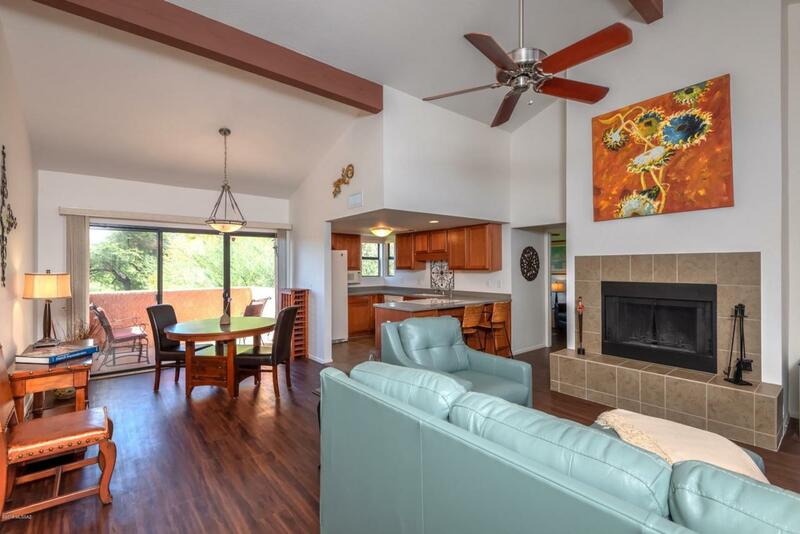 This private corner unit condo is located near the back of the neighborhood and features two balconies overlooking grassy park-like grounds, high vaulted ceilings, wood burning fireplace, zoned heating & cooling, split bedroom layout, mountain views, open kitchen with white appliances and corian counters, an abundance of natural light, no carpeting, ceiling fans and a convenient Northern Tucson location near shopping, restaurants and just down the street from Sabino Canyon Park. 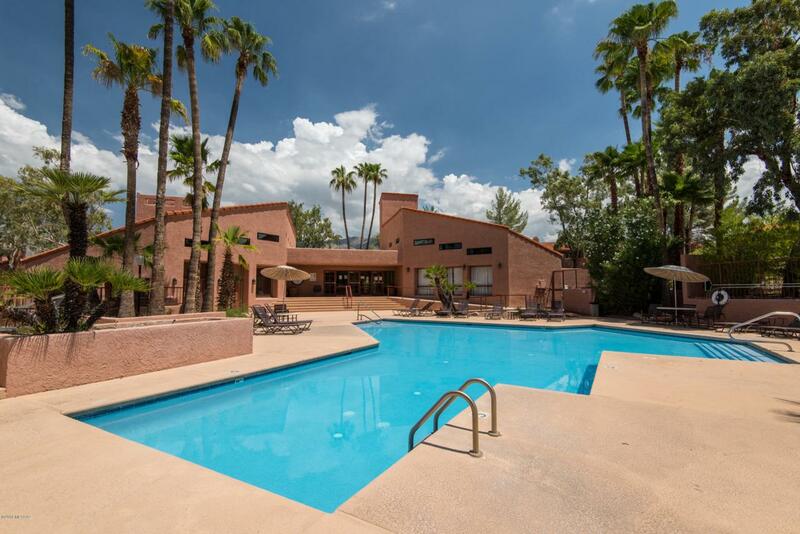 The Ventana Vista Condos HOA amenities include a heated pool & 2 spas, tennis / pickle ball court, enormous clubhouse with kitchen, pool table & tv, exercise facility, bbq areas, sidewalks and a gated entrance.